MOSCOW, Jan 11 : Direct flights between the Russian capital of Moscow and the Egyptian capital of Cairo are most likely to resume in mid-February, Russian Transport Minister Maxim Sokolov said Thursday. 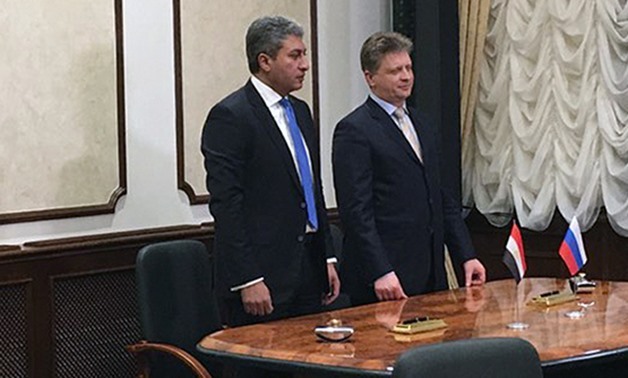 "As I said before, it will take about a month and a half after the signing of the decree to resume the flights and to conclude relevant contracts with the airport of Cairo and the handling companies, and to restart the work of the (Russian Airlines) Aeroflot office. Accordingly, it is approximately mid-February," Sokolov told reporters. Earlier this month, Russian President Vladimir Putin signed a decree to resume direct flights to Cairo after more than two years of suspension due to the crash of a Russian airplane on Egypt's Sinai Peninsula on Oct. 31, 2015. Russia suspended all direct flights to Egypt after the Russian airplane bound for St. Petersburg crashed, killing all 224 people on board. Moscow said the airliner was hit by a bomb planted by terrorists after taking off from the Red Sea resort city of Sharm el-Sheikh.